Pompeo expressed support for negotiations regarding northeast Syria while warning of the devastating consequences of unilateral Turkish military action. 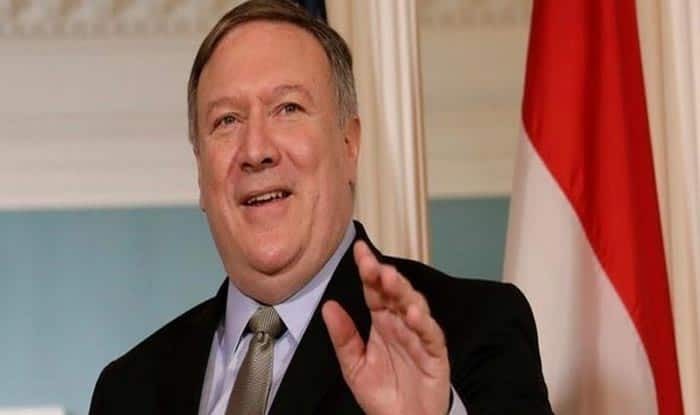 Washington D.C: US Secretary of State Michael R Pompeo has warned Turkey of “devastating results” if Ankara initiated any unilateral military action in Syria. “Secretary Pompeo expressed support for ongoing negotiations regarding northeast Syria while warning of the potentially devastating consequences of unilateral Turkish military action in the region,” Sputnik quoted US State Department spokesperson Robert Palladino as saying. Pompeo met his Turkish counterpart, Foreign Minister Melvut Cavusoglu, in Washington, on Wednesday, where the two leaders dubbed their meeting to be “constructive”. “We held a constructive discussion with US Secretary of State Mike Pompeo on the issues in our bilateral relations & issues in our joint agenda,” Cavusoglu tweeted. Congress needs to play a more constructive role in the Turkey-US relations and that Turkey will not accept unilateral impositions,” he added. The two nations are at odds over Washington’s recent attempts to bar Ankara from the F-35 Joint Strike Fighter program after Turkey purchased S-400 anti-air missile systems from Russia. Turkey has revealed its desire to carry the fight to US-allied Kurdish militias in Syria amid reports of US withdrawal of its troops from the region. The northern region of Syria, along with its border with Turkey, is still under the control of the US-back Kurdish forces in northern Syria, including the Kurdistan Workers’ Party (PKK), and the Kurdish People’s Protection Units (YPG), who have been the US’ primary ally in its fight against Daesh or the ISIS (Islamic State). However, US’ demands to secure the safety of the Kurdish forces in the region has been the recent cause of contention between the US and Turkey. Washington forced Ankara to stand down late last year by refusing to budge so that Turkish forces could attack those militias. However, President Donald Trump’s announcement of withdrawing US forces from Syria after the defeat of Daesh opens the option to Ankara to keep away the Kurdish fighters from the region.